One of our family stories from my childhood is about a trip I made to Portland with my dad when I was just a little thing, maybe 3 or 4. I only have fuzzy memories of the trip. What I remember most is the retelling of the tale every time we crossed the Columbia River heading south into Portland. The way my dad told the story, I was taking swimming lessons at the Y and they’d taught me to float by doing the Starfish. 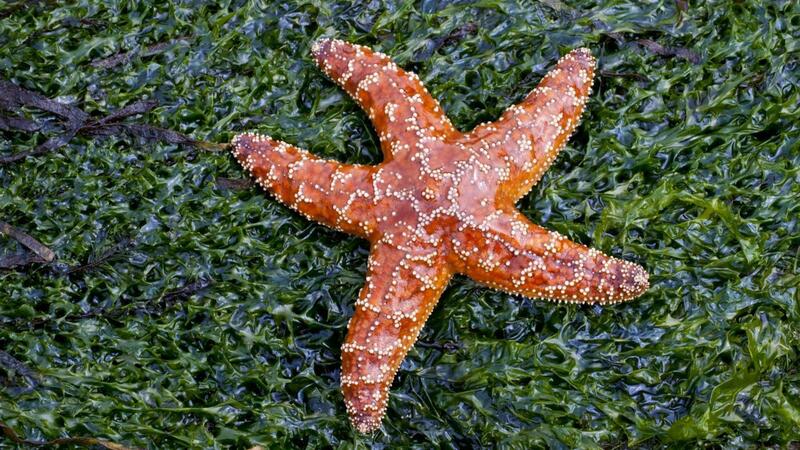 A Starfish was basically a dead man’s float, where you put your arms and legs out and float on top of the water. I was really proud of that accomplishment and I remember feeling competent and very grown up. While we were going across the river, my dad asked me if I thought I could swim across that large stretch of water. As a fairly serious child, I looked down at it, gauging its size and considering the question. I said I wasn’t sure I could swim it yet, but I was pretty sure I could starfish across it. In my dad’s retelling, he always got a good laugh at my seriousness, my determination, and my strategy for how I would succeed. It made me both proud and a little embarrassed as he chuckled at my 4 year old confidence. To this day, I can’t cross the Columbia River into Oregon without thinking about that story with a smile. It’s a piece of my dad that lives on in my heart. The other day, as I was determined to do something all by myself, my husband offered to help. I told him I just needed to prove that I could do it alone and he replied, “Of course you do, Starfish.” And I stopped – he’d never called me that before, but somehow, in that moment it fit. And I smiled. And couldn’t stop smiling. It was a link back to that childhood story that had been passed on to our kids, and it made me feel close to my father again. The truth is, I am still that very determined little girl. I consider my strengths, my options, and my strategy when I take something on. I don’t like to fail (see Random Facts About me here) and being careful about what I take on helps me ensure success. That doesn’t mean I haven’t take a run at some pretty wild things in the past, but for the most part, I utilize my very rational thought process as I approach something that seems to be difficult or unwieldy. As I look at the future and the challenges ahead, I plan to continue to be a Starfish. It will be my warrior name as I take on the self-imposed role of truth teller, light shiner, and torch bearer for hope. I will be tenacious in my resolve to stand up for what is right, to protect those who need protecting, and to take action instead of being passive. I have been awakened from a state of comfort that I know is not going to return. And I intend to add my voice to the mix whenever I can, speaking up clearly and logically. I will use facts, data, and verifiable sources to ensure I am not a part of sharing propaganda. I will hold myself accountable to do my homework as I expect others to. I will not live in an echo chamber of my own making, but I will seek out information and make my own conclusions. I will Starfish the HELL out this thing and make it through. I think about that little girl (most likely riding in the front seat with my dad, without a seat belt going 70 miles an hour on the interstate…) and I want to feel that kind of certainty and confidence. I can do this. I’ve always known I am capable and now is the time to practice what I preach and get busy. This entry was posted in Anger, Family, General Rambling, politics, Support. Bookmark the permalink.